Update 18/03/2019 @ 12:31 – CD Projekt Red has released a brand-new trailer for upcoming Gwent expansion Crimson Curse. You’ll find the trailer, in all its bloody glory, embedded below. In addition, CDPR also confirmed that Gwent’s first ever DLC expansion can be pre-ordered as of right now on the game’s official website. At £31.99, it doesn’t come cheap. However, players will receive 40 Crimson Curse Kegs, as well as an exclusive Crimson Curse cardback and Blood Armour Unseen Elder Leader Skin in return for their rather substantial outlay. 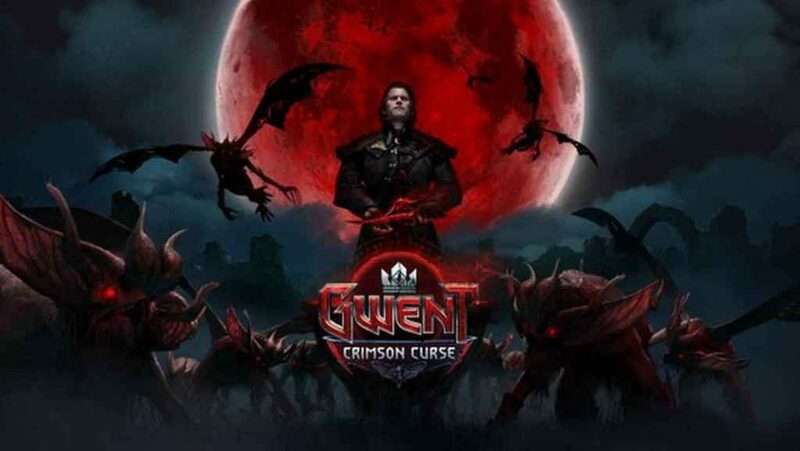 Original article 04/03/2019 @ 23:58 – The first expansion for Gwent: The Witcher Card Game, Crimson Curse, has officially been unveiled by CD Projekt Red and will release for PlayStation 4 on March 28, 2019. Gwent: The Witcher Card Game went into beta in 2017 on PlayStation 4. A single-player mode for the game was then quickly announced and eventually released last year in December in the form of Thronebreaker: The Witcher Tales. We enjoyed the game a lot in our review stating “The writing alone is worth the price of admission”. Crimson Curse, the first expansion for Gwent: The Witcher Card Game releases for PlayStation 4 on March 28, 2019. Will you be hopping into the game?